This was a special day. Morghan is a divorce lawyer (and frequent HuffPost contributor!) 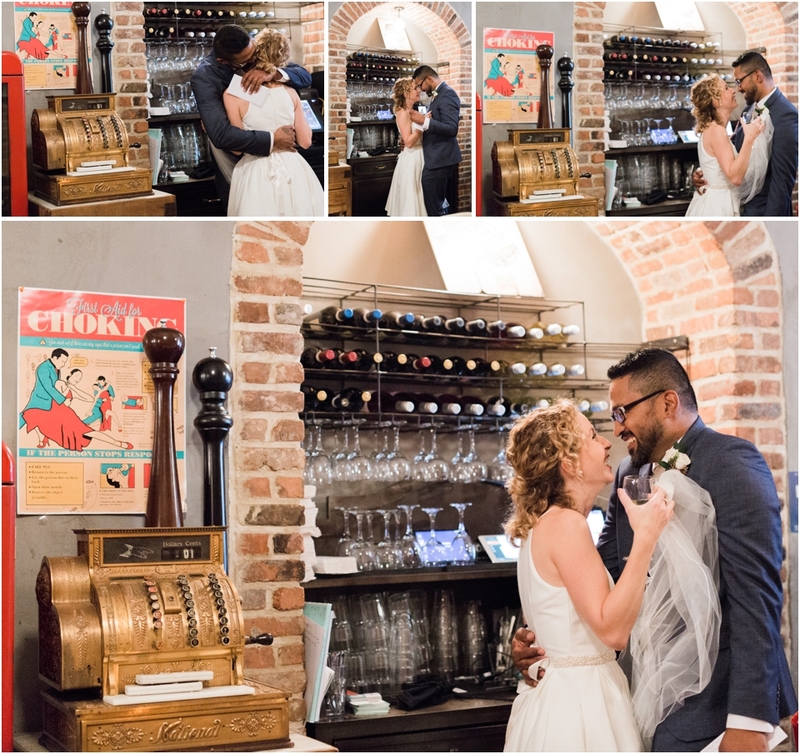 who found a passionate, intense love with Mario and wanted a simple, intimate way to celebrate their union. 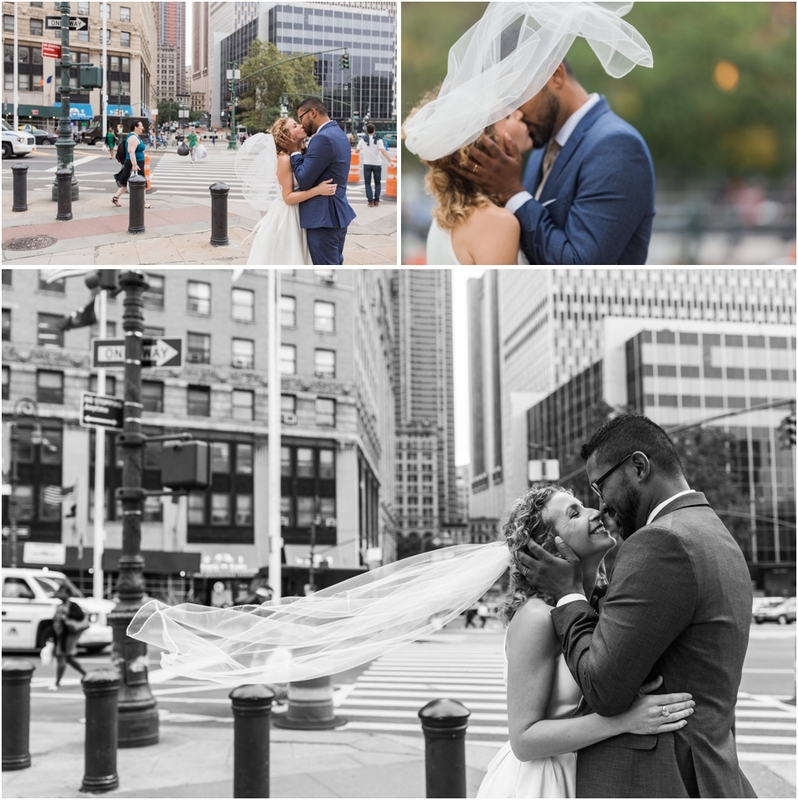 What better way than with an elopement and what better place than NYC City Hall! She looks chic AF in her ModCloth dress and I LOVED the family stamp they both had on their hands. Weddings are seriously amazing, a total union of 2 people to create a NEW FAMILY. We didn't have to wait long before their number was called and we stepped foot into the courtroom where Angel performed their ceremony. It was 3 minutes of pure excitement and I actually think this was one of the most romantic ceremonies I have ever photographed. 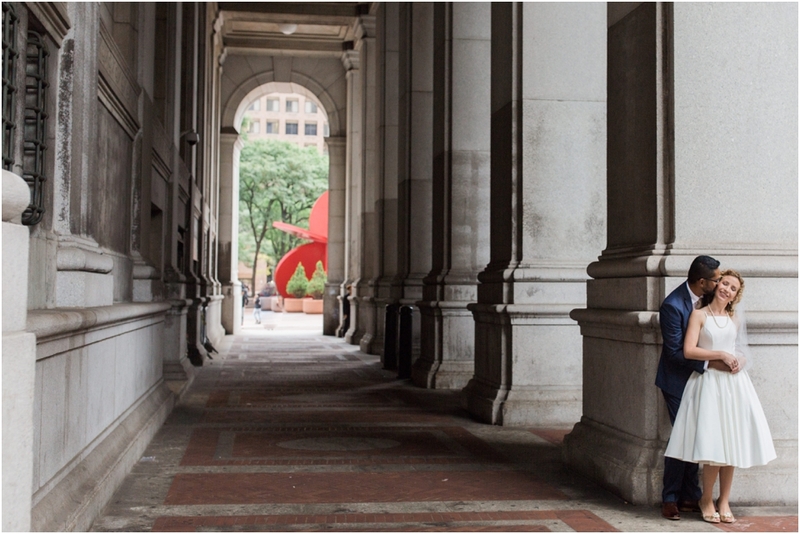 There is something so raw and simple about a City Hall elopement that is just 100% about the love between these 2 people. Its over in a flash, but the memories are strong, you guys. I almost got Joe and I a number - that's how much I loved it! 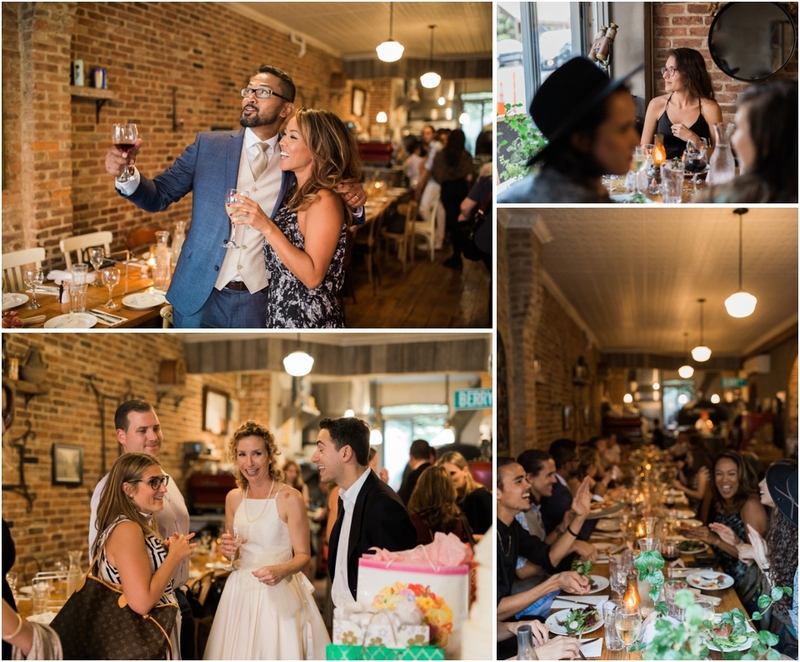 We spent a little time walking around the city taking portraits before we met up with their family and friends at Morghan's friend's restaurant, Oregano in Williamsburg Brooklyn. 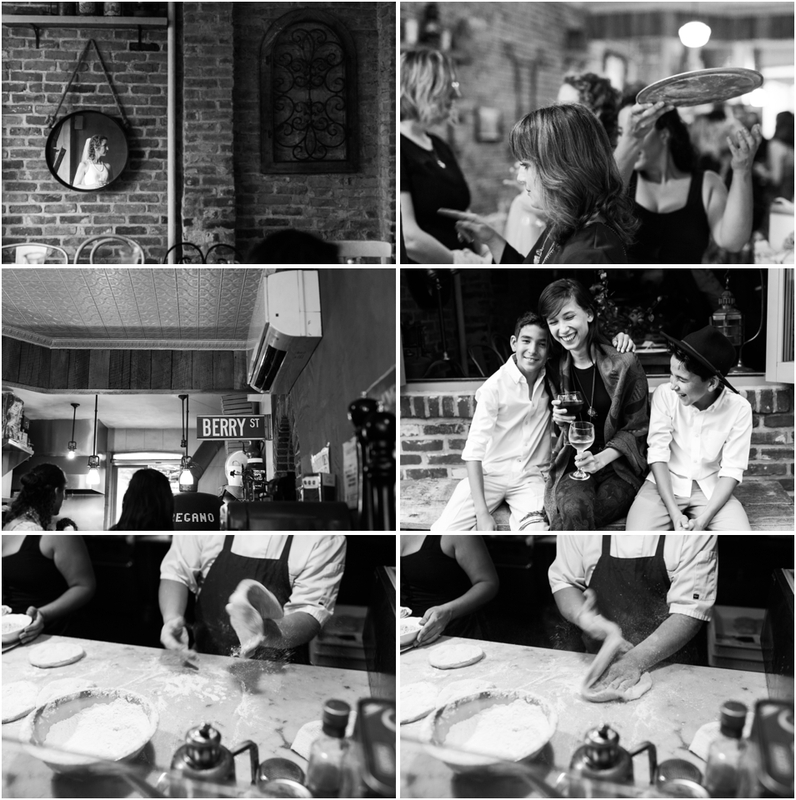 Everyone mingled while snacking on charcuterie and WOOD FIRED BRICK OVEN PIZZA and that was all before they had dinner! I'm seriously leaning more towards copying this exact wedding day by the minute. They slow danced, drank wine and enjoyed a perfectly delicious meal with the ones they love most in this world. A perfect NYC wedding, not only to photograph, but to experience. 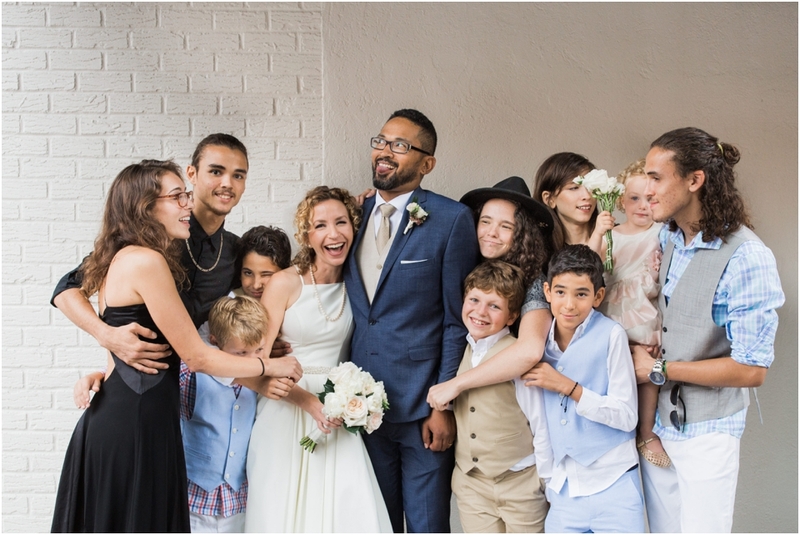 This wedding was NYC chic, simple, elegant and truly all about the love.